We were founded in 1959 by Ronald W. Innes, who began operations with an Explorer B40 mounted on a one-ton Ford. 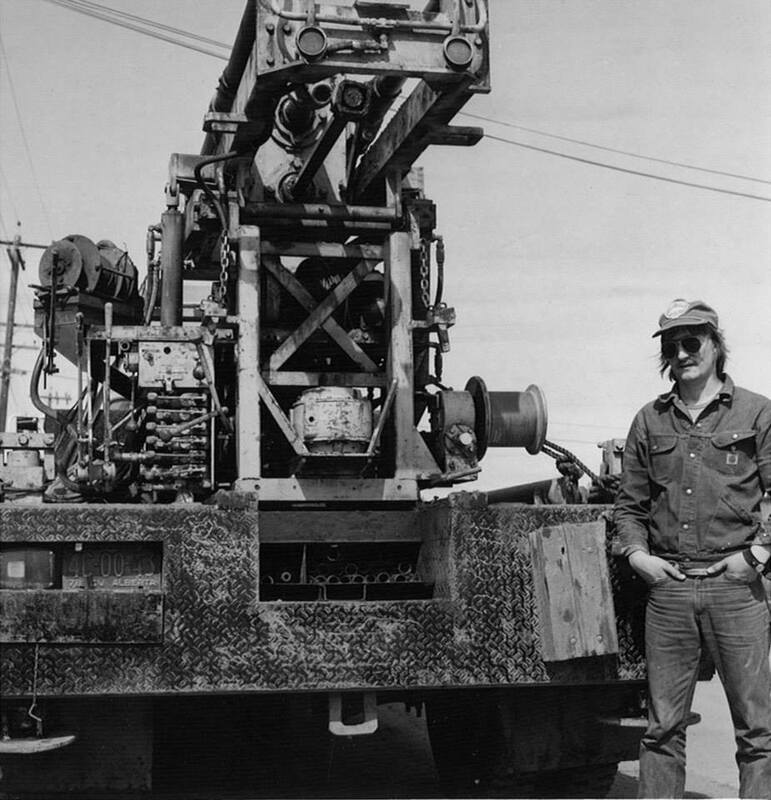 Ron pretty much introduced dry auger drilling to western Canada, establishing a tradition of innovation and service excellence that continues today. After fifty years, we've amassed extensive experience in a wide variety of geotechnical applications that includes soil testing for buildings, bridges, roads, water, sewer and environmental investigations. We are proud of our long history, and excited to continually build on the foundation Ron built more than fifty years ago. If you have a drilling project, click the button below and we can get you some estimated costs. Mobile Augers has earned a solid reputation for excellent customer service on routine and out-of-the-ordinary jobs. Our experience drilling in the hostile conditions of the high Arctic are unparalleled. We invest heavily in state-of-the-art equipment that outperforms the competition through superior technology and reliability. That translates into faster hole completion times, less downtime due to drill failure, and good value. Our crews and support staff are solution driven. They consistently meet and exceed our clients’ most demanding project requirements. By creating a work environment of universal respect that fosters a philosophy of safety and innovation, we encourage resourcefulness and practicality to routinely overcome challenges with spirit. While always striving for operational excellence and continuous improvement, the family values of integrity, honesty and ethical business practices run through the core of everything we do.